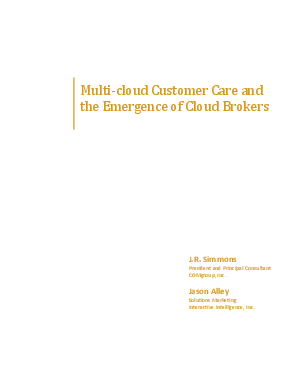 Customer care is part of the hype about the cloud, especially with the Communications as a Service (CaaS) model for telephony requirements. Yet moving a customer care infrastructure to the cloud and navigating other applications that reside there can be tricky. Read what you can do to make your move successfully, from J.R. Simmons of COMgroup, Inc. and Jason Alley of Interactive Intelligence.